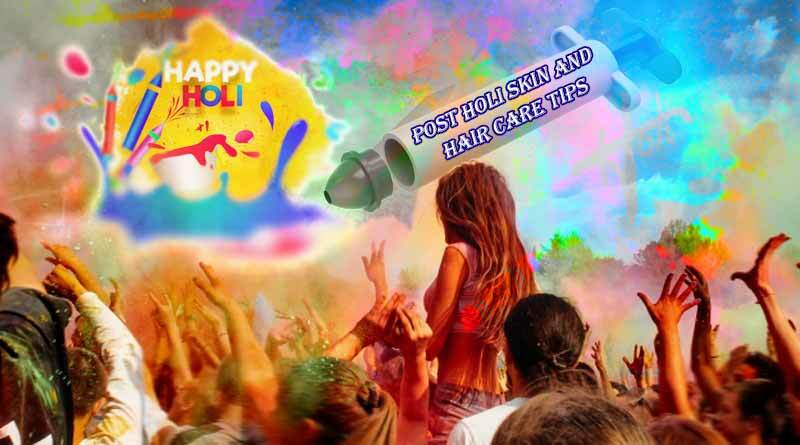 Post Holi skin and hair care tips – People either do not play Holi at all and if they do, there is no limit to the extent of fun they have and the muck that they create with water, colour, balloons, water guns and all. Once the Holi madness is over, it’s time to get back to work and routine life. That is the time when most people worry about how to get back to work without looking pink. But do not worry! 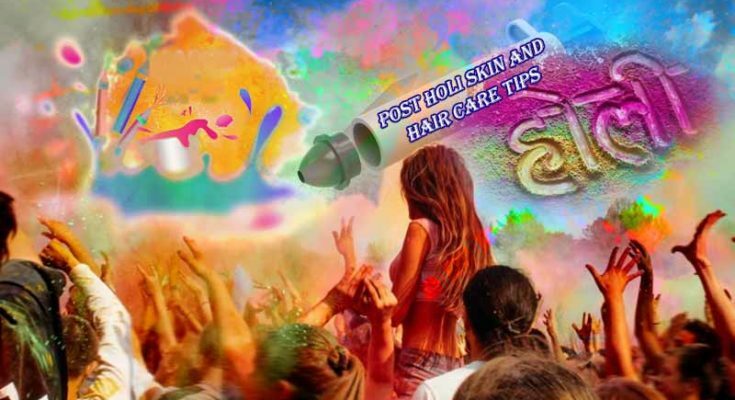 We’ve some post Holi skin and hair care tips you need to follow to make sure your skin remains at its best and your hair maintain their natural texture. First thing that you should do post Holi is to rinse your face with clean water and apply face cream to let your skin heal. It is important that all the impurities and toxic substances must be released out of the skin pores. So it is advisable to use natural cleansers on your skin. You must wash off all impurities and colours with a mild shampoo, even better if it’s herbal, having natural vitality to wash away the noxious substances from your hair. Don’t forget to apply conditioner after wash.
After a long day in the harsh sun, it is important to apply an eye cream full preferable without vitamin E before you go to sleep. This will help you feel fresh the next morning and will help clear your dark circles and patches overnight. Protect and heal your lips with a lip balm with SPF. Make a paste of olive oil, coconut oil, honey, and yoghurt and apply it in your hair. Leave it for 1 hour and wash it off. This will not only wash your hair but also make your hair smooth, shiny and soft. Add two tablespoons of lemon juice to a bowl of curd and apply it on the areas affected with colour and chemicals. Keep it for few minutes and wash it off with lukewarm water. Mix gram flour, almond oil, and milk cream in rose water. Make it into a thick paste and apply it on your face and other parts of your body. Keep it on till the paste dries and remove it by rubbing and peeling it off with your hands. Make sure you are gentle on your skin. Another natural and healthy option for a face pack is to mix 2 tbsp. of olive oil with turmeric powder. Apply it on your skin and rinse off after some time. The anti-inflammatory and antiseptic properties of turmeric will help soothe sunburns and will heal your face. Apply olive oil after washing your face and hair as it easily gets absorbed and the richness of Vitamin E and antioxidants will protect your skin from dryness by deeply conditioning it. 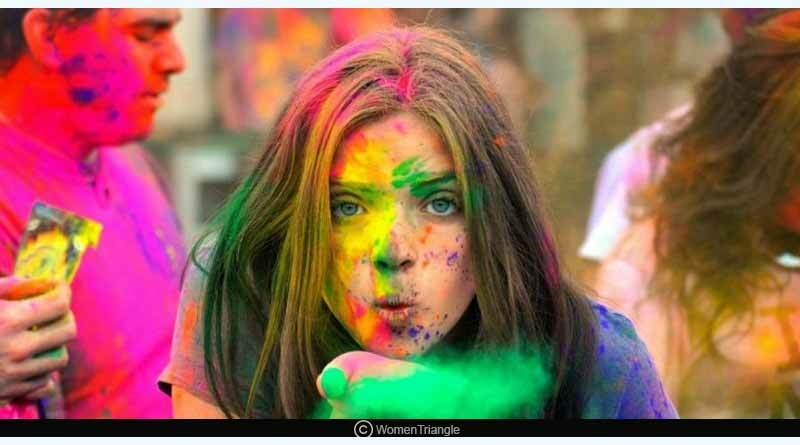 Must Read: How to remove Holi colour from face and hair? 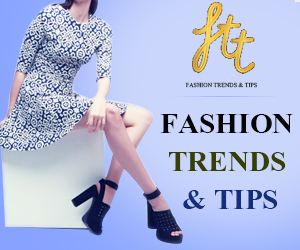 For more articles like ‘Post Holi skin and hair care tips’, do follow us on Facebook, Twitter, and Instagram. Next Article Secrets to a sparkling smile.